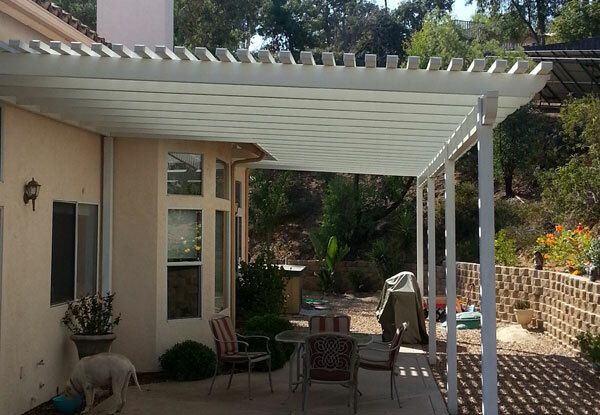 Since 1963, San Diego County residents have chosen Aluminum City when they seek beautiful, long-lasting patio covers, window awnings, carports, room enclosures, and door hoods at a great price. 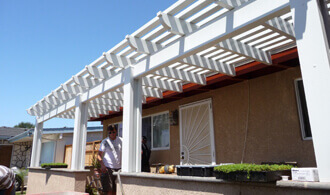 We are a full-service, locally owned and owner-operated business that offers budget-friendly shade solutions for houses, apartments, condos, and mobile homes of all sizes. Over the last 50 years, we have proudly served thousands of customers and worked hard to make sure that each and every one of them was completely satisfied before considering a job complete. 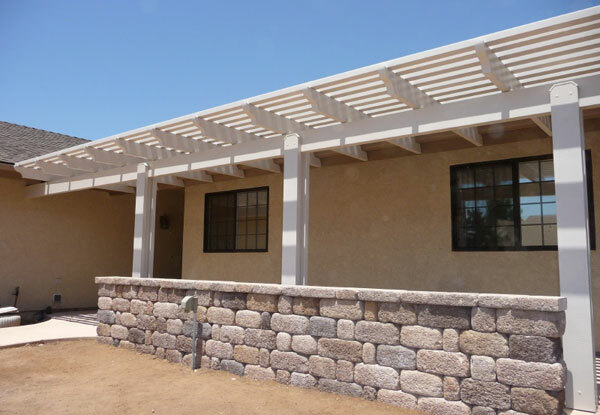 By offering skilled craftsmanship, high-quality materials, and some of the lowest rates you can find anywhere in San Diego, Aluminum City offers homeowners unbeatable value. 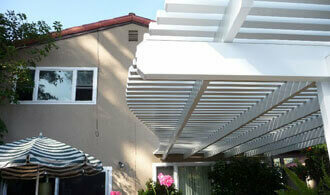 We sell and install patio covers made by Four Seasons Building Products, which we believe are the best. 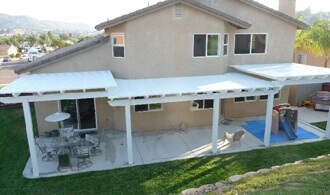 Their patio covers feature better construction, are made of thicker parts, have primer baked on before paint is applied, and are backed by a Lifetime Limited Warranty. 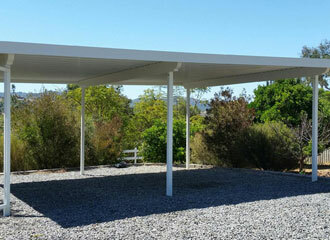 Despite the exceptional quality of our patio covers, we still are able to outbid most of our competitors. 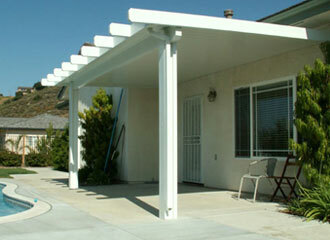 All of our patio covers are termite-resistant, rot-proof, long-lasting, and virtually maintenance free. These come in six different colors and either a smooth-grain or wood-grain texture. You can also choose between having a completely solid cover, a lattice cover, or a combination of the two, depending upon how much coverage you want. 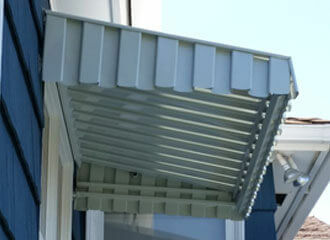 Our window awnings or coverings consist of 3½” overlapping slats that connect to form a 45-degree projected mini-blind. 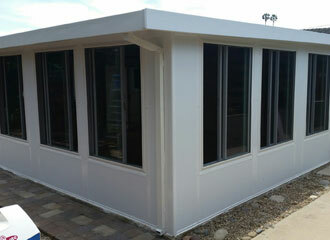 These are custom made for each client and come in 20 different colors for a solid or striped appearance. This door covering is available in 20 different colors and features return side wings for help additional protections from the sun. Our California rooms are the economical choice for clients who want to add additional square footage to their homes without the hassle or cost of major renovation. With an insulated roof, 4"-thick insulated walls, and double-glazed, low-E windows, our patio room enclosures are extremely sturdy and highly effective at protecting against the sun's UV rays. They are highly customizable and can be built out to a 14' projection and any length. 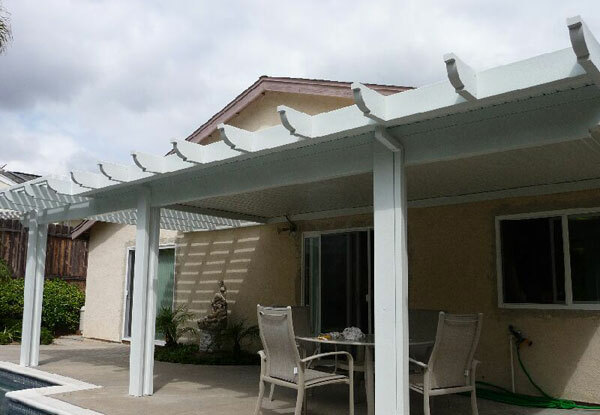 Aluminum City's residential carports are made out of a specially designed solid patio cover that can either attach to the home or be freestanding. 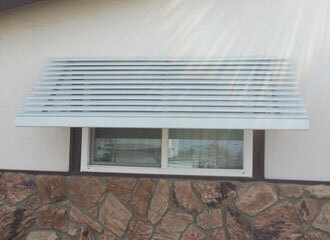 They are highly effective at protecting cars, RVs, boats, and equipment from the sun and rain. 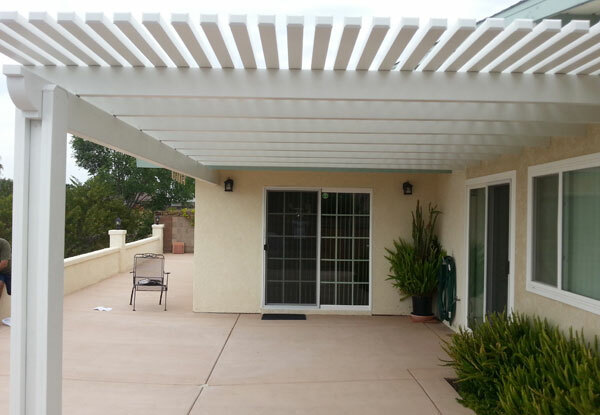 To learn more about our affordable patio covers, window awnings, room enclosures, carports, and door hoods, call us at (619) 562-1652. We offer free, no obligation consultations and upfront estimates for all of San Diego County, including Escondido, Chula Vista, Poway, Rancho Bernardo, and nearby areas. We are licensed and insured, and open Monday through Sunday from 7:00AM to 10:00PM. 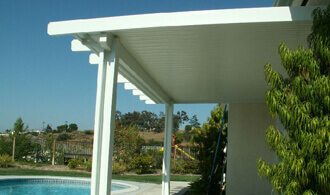 Red and his team were professional, prompt, and did an amazing job on our 32 foot long/wide patio cover. I appreciate their ability to take instructions and follow them - with attention to detail. They were also incredibly clean and courteous. 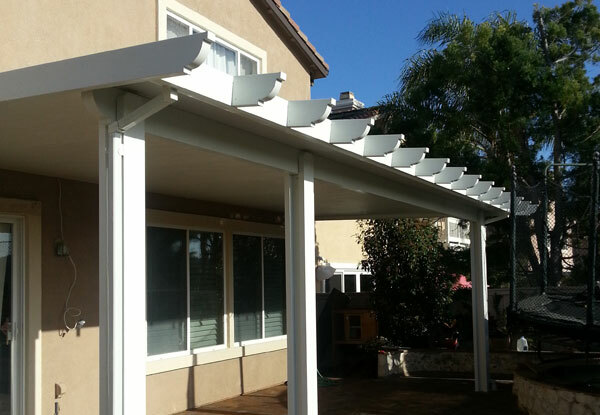 This residential freestanding aluminum patio cover in Bonita, CA was installed for a homeowner who wanted coverage for their outdoor barbecue area.